My husband’s family has vacationed in Hilton Head, South Carolina for as long as he can remember. My family, on the other hand, was never much for beaches. The kids and I can still only last on the beach for so long, without at least having other things to do nearby. The one beach vacation I’ll always look forward to though, is a visit to Disney’s Hilton Head Island Resort. 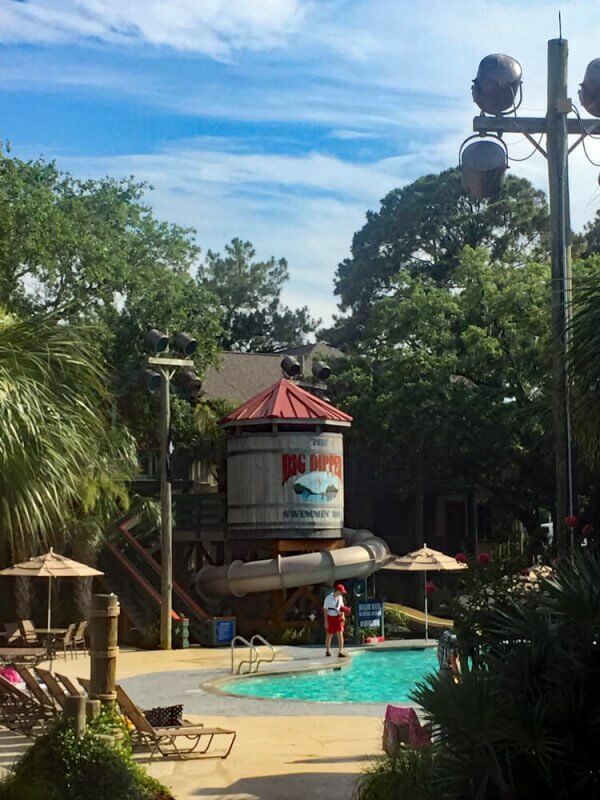 Continuing in our “Why We Love…” hotel review series, here are our favorite things about the Disney property tucked away in South Carolina’s lowcountry. If you’ve been to Hilton Head, you may already be familiar with the location of Disney’s DVC property on the island. Opened in 1996, the resort is situated the Shelter Cove Harbour area. 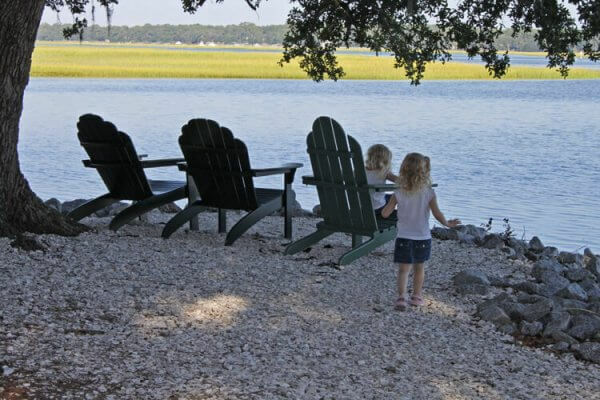 It sits on Hilton Head’s Broad Creek, with a private beach (and beach house) approximately a mile away. While it is actually a Disney Vacation Club property, non-members can book accommodations there – just as they can at the other DVC resorts. Guests can choose from studios, 1-bedroom, and 2-bedroom units. 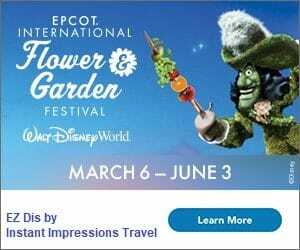 Readers of this site are probably familiar with our love for and appreciation of the detail that Disney imagineers put into the theme parks and resorts around the world. The work at Disney’s Hilton Head Island Resort are no exception. As with their properties adjacent to theme parks worldwide, the Disney company has done so much more than throw up a high rise hotel or block of condos in a tourist area and call it a day. Instead, even the smallest details are purposefully chosen. The resort is designed after a 1940s South Carolina Hunting and Fishing lodge, but there’s nothing that feels antiquated about it. Behind a somewhat rustic facade are state-of-the-art fitness rooms, free wifi, and all the amenities of a deluxe hotel. At a glance, the “South Carolina Lowcountry” theming seems like something I wouldn’t dig. After all, one of the reasons I so dislike Disney’s Old Key West resort is because it’s themed, basically, as “Florida”. That said, this feels different. When you vacation (or live) in this area of the country, there is a certain ambiance, a rhythm that is pervasive throughout your days. Much like Disney’s Hollywood Studios represents “the Hollywood that never was, and always will be”, Disney’s Hilton Head Island Resort evokes everything there is to love about the lowcountry life, that is generally not nearly so tangible. You won’t find another hotel themed like this in the area. True to form, the attention to detail doesn’t stop with the architecture, colors, and signage. Even the luggage carts, barbecue areas, etc are carefully selected to add to – and never detract from – the theme surrounding them. 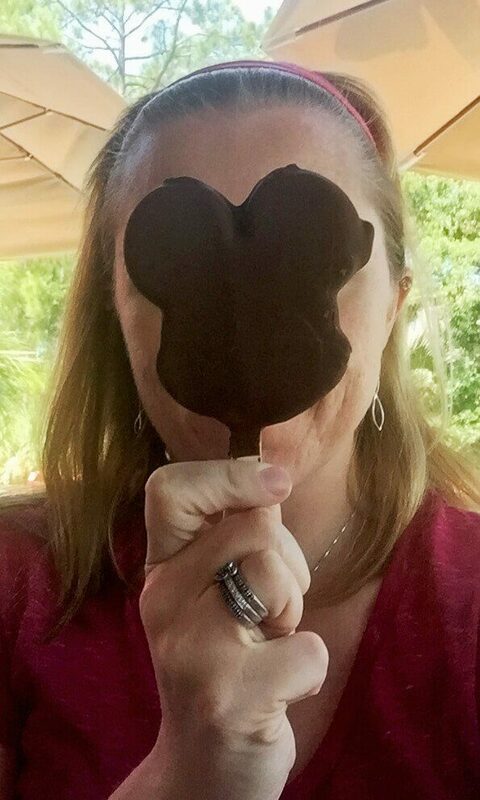 If you’re looking for things shaped like Mickey because, like our family, they make you smile? You’ll find plenty. But if that’s not your thing, I’m confident details like a Mickey detail on a wooden fence won’t ruin your experience. As with any great Disney location, Disney’s Hilton Head Island Resort has its own backstory. Unfortunately, it’s a bit disjointed. It is my understanding that there used to be something a bit more cohesive, but apparently random Hilton Head Island visitors don’t care as much about Disney backstories. Still, I have to believe that when it was designed, everything was intentional. You’ll also find legends of “Big Murggie”, an impossibly slick fish that evades fishermen and becomes the subject of many a fish tale. There’s even a large area at Live Oak Lodge dedicated to Big Murggie. Guests have often seen Shadow, and at times there are even story times offered with Shadow and her friend B’lou Crabbe… but somehow we’ve never met this illusive pup! A visit to her doghouse is always a must, though. 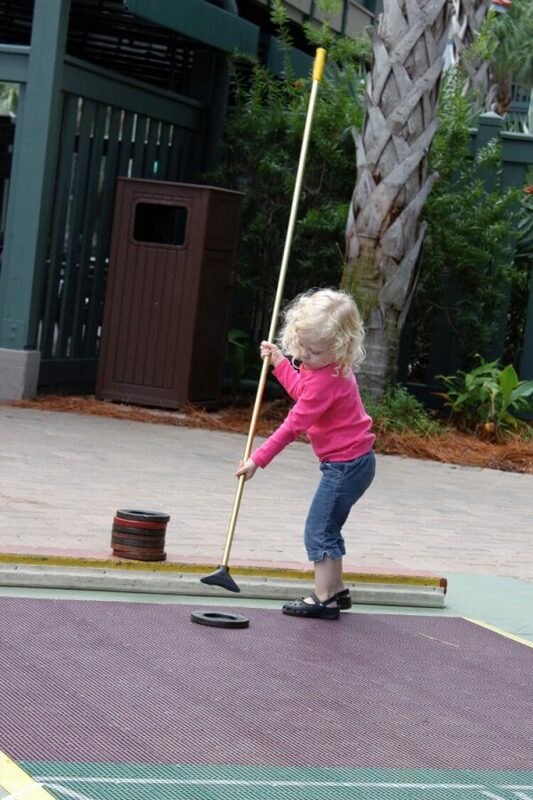 As with most other Disney properties you’ll visit, there is no shortage of things to do. Teams of Cast Members have activities planned throughout the day, most of which are included in your stay; activities that require an additional fee are very reasonably priced, and always very clear. No upselling or bait-and-switch tactics! At the beach house (which you can reach by shuttle or a quick walk/bike ride from Shelter Cove), there is another pool, more outdoor games, and even a high-tech arcade. 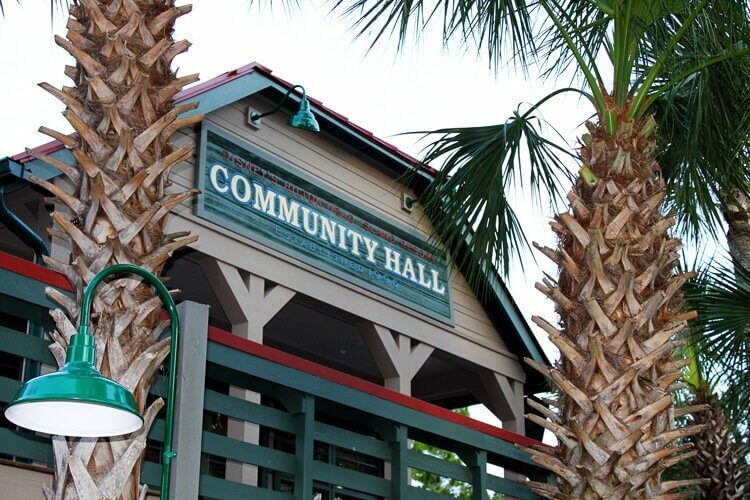 Commuity Hall – a DVC staple that wasn’t left out of the Hilton Head Resort plans – offers what members are accustomed to finding: games, crafts, bingo, coloring pages, toys, and (free) DVD rentals. We’ve said it before: Disney Cast Members are the biggest reason we return again and again. Heck, we’ve even made a dear friend or two over our years of visiting. The interaction with Cast Members at the Hilton Head resort reminds us a bit of that on the cruises we’ve taken. 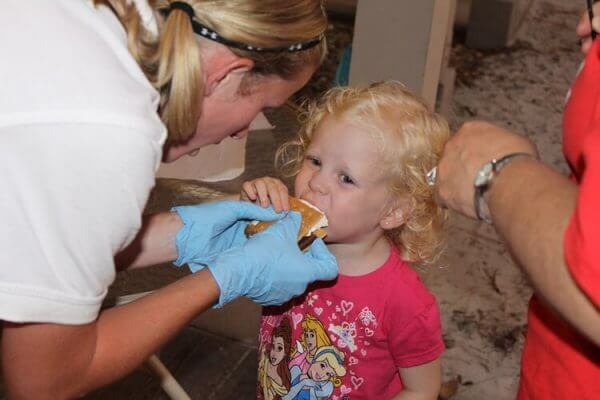 While we don’t spend as much time with them as we do the Cruise Staff on DCL, it is a small resort – so many of the CMs get to know guests, and make each visit special. Of course stay anywhere on Hilton Head Island puts you close to world-class golf and tennis, more than 12 miles of clean beaches, and unique shopping and dining experiences. 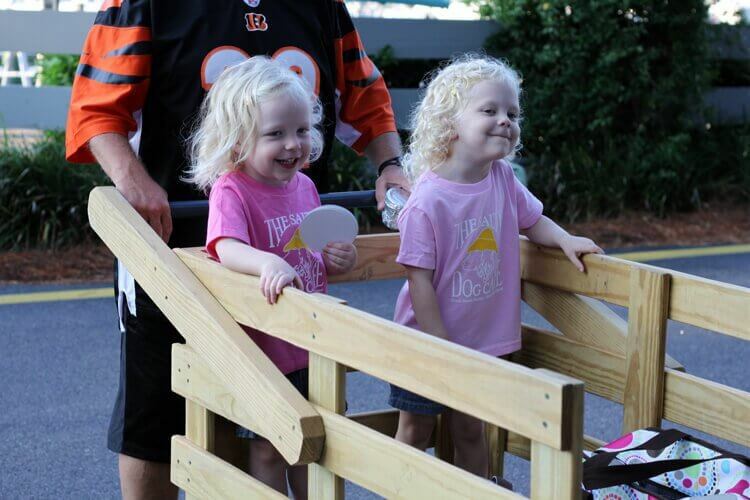 Specifically though, we love the location of Disney’s Hilton Head Resort more than other options on the island. One may argue that the only way to do a beach vacation is with a beachfront property. That makes perfect sense when you’re in an area like a number of Florida beaches, where your options are “beachfront” or “drive a few miles down congested roads, through concrete jungles and gift shops with giant tacky signs, to a hotel that feels like it could be anywhere in the country”. That’s not what you’ll find here… though I’m not sure my words will do the location justice. At Disney’s Hilton Head resort – and anywhere on Shelter Cove, really – you’re moments away from the incredible beach house and the Atlantic Ocean. When you’re there, you’ll have everything you need and won’t need to “run back to the hotel” for anything. When you’re kind of tired of just sitting on the beach though (which is a very real concern for many of us), you aren’t going to simply retire to your hotel and wonder what to do. Instead, when you return to the resort on the inside of the island, you escape to a gorgeous, secluded natural oasis. The marshes and woodlands offer completely different scenery, wildlife, and recreation options than the beach. Large barbecue areas offer fun dining experiences as well as hammocks, etc in which to relax. It’s truly the best of both worlds, and that’s not even considering what is between the resort and beach house. Shelter Cove Harbour, unrelated but adjacent to the Disney property, offers some of the most beloved shopping and dining options on the island. Any given night at the Harbour, though, you’ll find plenty to see and do. 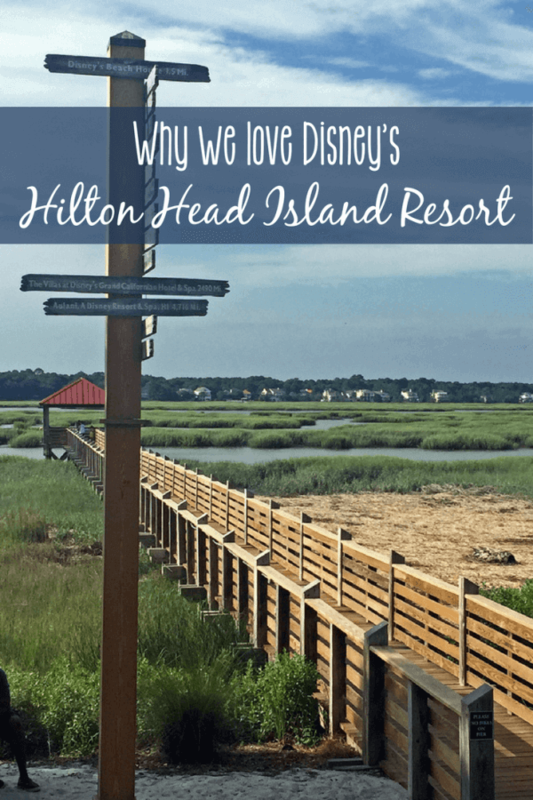 Disney’s Hilton Head Island Resort is not one of our DVC “home” resorts, but I can’t tell you the number of times we’ve considered adding on there. In fact, I’m confident that someday we will. 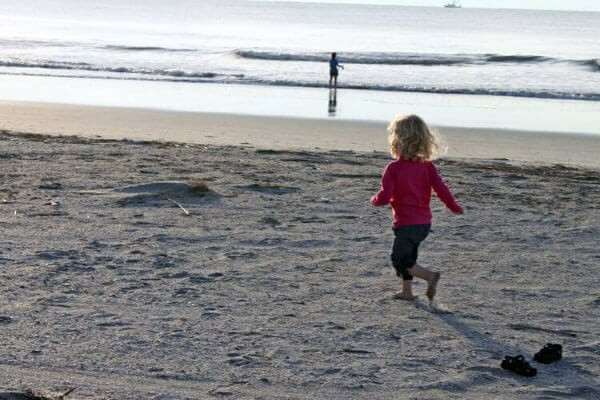 Hilton Head itself has so much to offer families looking for a great, versatile vacation, and Disney’s HHI property is one of our favorite places to travel. 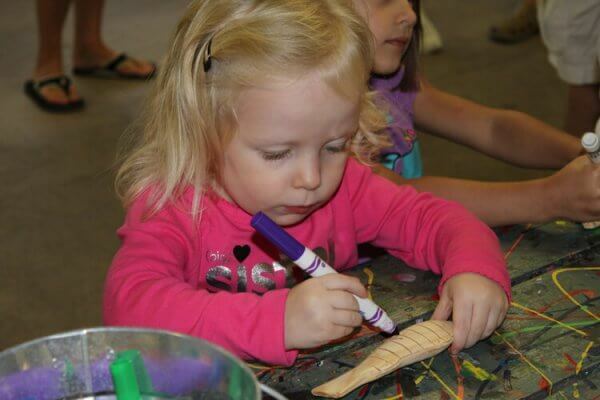 Jennifer, thanks for a great post! I’ve never been to Hilton Head Island before, but of course have passed by it many a time in my trips to Walt Disney World. I will add this to my list of things to do — that ever growing list that never seems to get any smaller! We love Hilton Head Island. I have never been able to make reservations at the Disney resort. It is on our bucket list. Thanks for sharing. I know it’s tricky to get a room in the summer and during Spring break weeks. We have had decent luck in late August and early September, but that’s obviously a harder time for families to travel. I love this post. 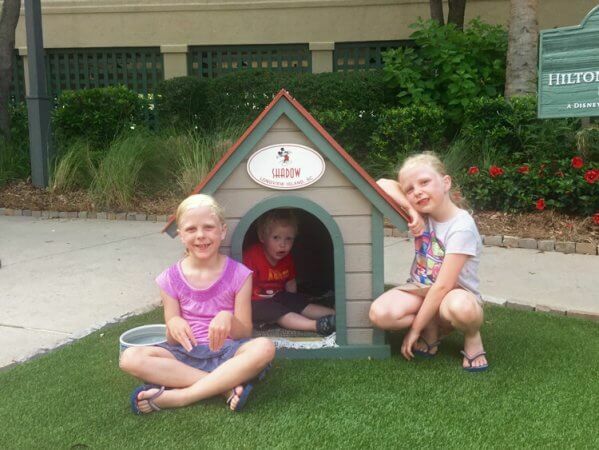 We visited Disney’s HHI resort on our past trip to HHI. It is beautiful, and while we didn’t stay there, I think I would consider it for future trips. I am of the mindset that I want to be on the beach, so we usually go with a house rental. But I agree, Disney’s resort is amazing! Thanks so much! I totally get the draw to be on the beach… and renting a house is definitely a good choice. I think where the decision is easy for me is if you compare, for example, a condo in The Greens or some other neighborhood from which you have to walk, bike, or drive a bit anyway! We stopped here on our way back from WDW once just to look around. We’d love to find a time to actually stay there. It seemed like it would be a great place to relax and unwind. That’s it, exactly! I hope you do get a chance sometime.